No need to remind that a case study is one of the most complicated written tasks ever. An average student is usually puzzled over its originality and rich content. Don’t be the one, who bothers too much and wastes time. Address WriteMyEssays.com and use an original case study to help yourself with finishing the assignment. After clients order case studies, they decide on the number of delivery options offered. This is the way to determine the final terms for a custom case study writer to complete his/her work. The website calculates the time automatically from the very moment you pay via PayPal. Let’s have a better look: if one pays for a case study at 6 p.m. on Monday and decides on a three-day delivery, he/she receives an assignment done by 6 p.m. on Thursday. While writing a freelancer conducts an in-depth research and if the topic is complex, more time may be needed and a Support Team will contact you. Our case study writing service encourages our customers to attach all additional materials to escape the cases of violated deadlines (95% of papers are sent before final terms) or guessing. When case studies are done according to the terms of Progressive Delivery, an individual schedule and manager will be assigned to keep you informed of order processing. What is the Final Submission deadline? It’s the date when a client is to submit the task. The day should exceed the First Draft Deadline by 30% (at least). It ensures that there’s enough time for free order revisions if any. As the company always takes care of its customers, we provide high-quality assistance with revisions, too. The work is revised many times before it is actually delivered to someone, who paid for it. 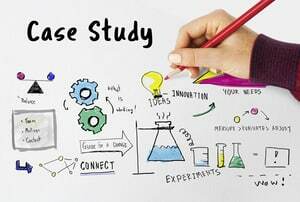 If a client believes that some changes are to be made to a final piece, he/she should ask us for case study writing help online. A request is made before the purchase is approved or within 7 days after the initial confirmation. Things differ for the Progressive Delivery service: the deadline is always extended to 21 days instead of 7. However, when really serious alterations are to be made, a customer has to transfer an extra fee. The company holds the right to extend the final terms for revision services. It is typically done under two conditions: a writer has made a request AND the initial deadline allows this sort of extension. If a customer decides to change an author of the academic work for sale, we add extra 12 hours to the final date. It’s the time needed to find a new penman. As for now, the minimum revision deadline is 6 hours. But starting December 17, 2016, a three-hour final term will be available once again. The gathered data (IP-address, actual and e-mail address, name and phone numbers) is transferred to the area that is outside the EEA and stored there. We do this for administration needs exclusively and ensure all customers that the staff that operates outside the area works for us only. The team members use the gathered info to provide the expected services, process all payment details and ensure high-quality support. When filling in the order form and deciding to buy an affordable paper, every client agrees to this sort of transfer. In any case, all personal and financial details are well-protected. The given data is stored on the secure servers. As for the payment transactions, they are encrypted with the assistance of SSL-technology. Every customer is given a password that should be kept confidential. The Personal Order page settings allow changing it if it is no longer secure or you wish it to be changed. Please note that today there’s no 100% safe and secure Internet transaction. Absolute security is something that we can hardly guarantee. For more questions, email us. Our company is not responsible for the safety of personal details that you share with a writer directly (number of order pages, the topic, final terms, specifications and uploaded files). Once the data is available to a freelancer, the agency can’t control its distribution. Please note that our Support Team may contact you only via the phone numbers that are posted on the website (44-800-327-7563 or 1-855-422-5408). Other calls made from different numbers aren’t secure, especially when they are with requests to provide personal or financial information. Don’t talk to those, who introduce themselves as our Support Team. Over the past years, our firm has managed to become an indispensable part of the academic life. We make any assignment more decent and are ready to cope with most topics. Don’t entrust this hard work to a company with cheap offers: this choice may be beneficial for your budget but not for academic success. Contact us when any additional explanations are needed or you have encountered problems at any stage of the order.